YUMA, Ariz. – An acrobatic pilot completed 98 inverted spins in his airplane breaking his own record at Million Air airport. Spencer Suderman took off in his Sunbird S1X aircraft and successfully landed in the terminal apron at Yuma International Airport after breaking his own record Sunday morning. Back in March 17, 2014 Suderman broke his last record at El Centro Naval Air Facility with 81 Inverted spins. Suderman says that wasn’t good enough and he wanted to set the bar as high as he could to make it more of a challenge for anyone looking to beat the record. Mike Kobylik of Electroair, a primary sponsor, says how they improved his ignition system. Ott continues by saying the seating was the primary problem in Suderman having to abort early. Once Suderman landed he had a good feeling about breaking the record. “Awesome, I have been working on this for a long time. When I broke this record for the first time I only did it by three turns. Yeah, it’s a new world record, but it wasn’t that satisfying I need to come back and smash it and smash this record and I wanted to make this so difficult for the next person that no one wants to catch up,” Suderman said. Two official judges from Guinness Book of World Records have confirmed that 98 spins were completed and Spencer Suderman holds the world record for most inverted spins in the air. Ottawa - An unusual parachute failure and insufficient instructor training were the causes behind a near-fatal July 2015 skydiving accident near Gatineau, a report has found. 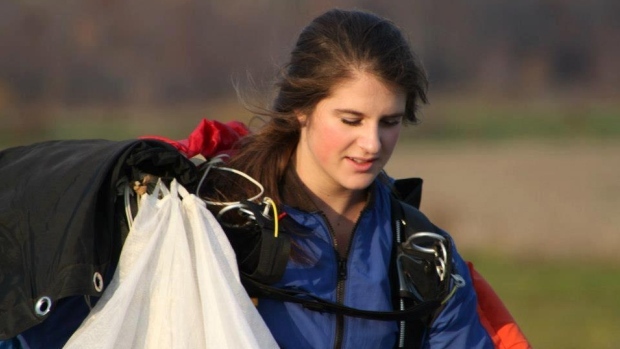 The July 8 accident near the Gatineau-Ottawa Executive Airport put 22-year-old GO Skydive instructor Carolyne Breton and her student, a 45-year-old man, in hospital. The tandem jump they attempted starts at 13,000 feet, then has a 45-second free-fall before the parachute is deployed at 5,000 feet. A failure with the reserve canopy caused them to come crashing down in a field next to the company’s facilities. Breton suffered bone fractures and a severe concussion while her passenger, whose name has not been released, suffered life-threatening injuries. Breton and her passenger had about 49 seconds of free-fall before Breton released the main canopy, then the reserve canopy was automatically released, according to the accident report by the Standards Commission, equity, health and safety (CNESST). An issue with the reserve canopy caused the pair to descend in a spiral at a faster speed than normal. Breton tried but was unable to straighten the trajectory of the parachute and regain control. Breton asked her male passenger to lift his legs so that she alone would absorb the shock of their landing. The report lists the causes of the accident as a failure with the reserve parachute, which caused the downward spiral and uncontrolled landing, and a deficiency in training for emergency situations for instructors. The skydiving school is a member of the Canadian Sport Parachuting Association (CSPA) and the United States Parachute Association (USPA). It follows the rules and regulations of skydiving set out by the CSPA and the equipment manufacturing company, United Parachute Technologies (UTP). The owners of a Piper aircraft that crashed on Tinian in October 2013, killing three persons and injuring four others, have settled for $300,000 the lawsuit filed by two of the four survivors. The parties’ counsels Timothy H. Bellas and Colin M. Thompson filed on Friday a stipulated motion, asking the U.S. District Court for the NMI to approve their settlement. Bellas is counsel for the defendants Star Marianas Air Inc. and Tinian Transportation Management Solutions Inc., while Thompson is counsel for Lisha Gu and Gu’s minor daughter, Yuxin Wu. Gu and Wu were among the four survivors in the crash. Gu’s husband and Wu’s father, Xuan Wu, was among the three passengers killed in that crash. Pilot Luis Silva and a Chinese female tourist were the two other fatalities. Lisha Gu and the child are currently residing in Shanghai, China. According to Bellas and Thompson, Star Marianas Air maintained liability insurance, which covered the injuries suffered by the minor child and decedent, with maximum coverage of $300,000 per person. Bellas and Thompson said the parties have negotiated a settlement of all claims between the parties and this has resulted in the execution of a confidential settlement agreement. Bellas and Thompson asked the court to find that the amount of the settlement is reasonable and allow Lisha Gu to sign the settlement agreement on behalf of the minor. The lawyers said the settlement amount of $300,000, less attorney’s fees and advanced costs, is to be deposited into a trust account in China, with the child as he named beneficiary and Lisha Gu as the trustee. The lawyers said the trust shall be used for the support and education of the minor until she turns 18 years of age. Once the court approves the settlement, the parties will file a motion to dismiss the lawsuit. Gu and the child sued Tinian Transportation Management Solutions Inc., Star Marianas Air Inc., the plane’s pilot Silva, and 10 unnamed co-defendants, for negligence-wrongful death, negligence, loss of consortium, and negligent infliction of emotional distress. The plaintiffs asked the court to hold the defendants liable to pay them in unspecified amount of damages, court costs, and attorney’s fees. Thompson stated in the complaint that on Oct. 6, 2013 at 2:51am, a Piper Aircraft piloted by Silva crashed three miles north of the Tinian International Airport on Tinian, completely destroying the plane. As a result of the impact, Xuan was killed and plaintiffs Gu and Wu suffered severe and debilitating personal injury. Thompson said prior to the crash, the Saipan-bound aircraft descended to an altitude of 302 feet, turned 180 degrees, and collided with a jungle-covered hill at an elevation of 450 feet. Thompson said the last radio communication with Silva involved him asking traffic control for weather condition information. Thompson said prior to Oct. 6, 2013, defendants had knowledge of other air crashes involving their aircraft, including a Nov. 19, 2012 crash involving defendants’ Piper 32-300 and a pilot flying between Saipan and Tinian, which caused death and serious personal injury. In the Nov. 19 crash, one person was killed and six others were injured. The six survivors, all Chinese nationals, also filed a wrongful death lawsuit in federal court against the pilot, Jae Choi, Star Marianas Air Inc., Marianas Air Travel, Tinian Transportation Management Solutions Inc., Tianing Travel Agency, Top Development Inc., and 100 unnamed co-defendants. Injuries: 3 Fatal, 4 Serious. During a night visual flight rules (VFR) cross-country flight, the pilot encountered a rain shower that reduced the cloud ceiling and visibility, so he then attempted to return to the departure airport. While maneuvering, the airplane descended and impacted terrain. A witness estimated that the airplane’s altitude was less than 500 feet. He saw the airplane make a sharp left turn and then fly out of his view and then he heard the sound of a crash. Physical evidence observed at the accident site was consistent with controlled flight into terrain. No evidence was found of any preimpact mechanical discrepancies that would have precluded normal operation of the airplane. Damage to the propeller blades was consistent with the engine developing power at impact. It is likely that the pilot attempted to maintain VFR flight by descending to remain below the clouds and was unable to see and avoid the terrain due to dark night conditions. The pilot’s failure to maintain terrain clearance while maneuvering at low altitude in dark night conditions. On October 6, 2013, about 0251 local time, a Piper PA-32-300, N4089W, was destroyed when it impacted terrain while maneuvering about 3 miles north of the Tinian International Airport on Tinian Island, United States Commonwealth of the Northern Mariana Islands. The airline transport pilot and two passengers were fatally injured; four passengers were seriously injured. The airplane was being operated by Star Marianas Air, Inc., under the provisions of 14 Code of Federal Regulations Part 135. A company visual flight rules (VFR) flight plan was filed for the planned 10-nautical mile, night, cross-country flight from Tinian Airport to Saipan International Airport on Saipan Island. Visual meteorological conditions prevailed at Tinian Airport for the flight's departure about 0241. The operator reported that the airplane was 1 of 6 airplanes being used to transport a group of 127 Chinese tourists and travel guides from Tinian to Saipan to connect with a flight from Saipan to Shanghai, China. The weather conditions at both Tinian and Saipan Airports were reported to be VFR but other company pilots flying at the same time as the accident pilot indicated that there were rain showers occasionally passing between the two islands throughout the early morning hours. One company pilot reported that he departed Tinian immediately after the accident airplane. After takeoff on runway 08, the accident pilot turned left to a crosswind leg. The company pilot said that he then took off on runway 08 and turned left to a crosswind leg; he recalled seeing the accident airplane to his left, and it appeared to him that it was flying northwest toward the Voice of America (VOA) antennas (a group of strobe-lighted antennas up to 400 feet tall located on the northwest side of Tinian). The company pilot reported that there was a rain shower in the channel between Tinian and Saipan, and he could not see Saipan Airport when he took off. He further reported that there was a rain shower over the north end of Tinian. He asked the accident pilot where he was going, and he thought the reply was "heading toward VOA." The company pilot switched to the Saipan air traffic control tower (ATCT) frequency, and he heard the controller giving the accident pilot weather information. He contacted the controller and continued his flight to Saipan. The Saipan air traffic controller who spoke to the pilot stated that the pilot asked him for weather information, and he responded that he did not have Tinian or the VOA antenna lights in sight. The pilot acknowledged receiving the information, and there was no further communication between the controller and the pilot. The controller said that it was mostly clear over Saipan that night, and all of the weather seemed to be over Tinian. The company's chief pilot reported that he was landing at Tinian Airport as the accident airplane was taking off. He said that at that time, the weather in the channel between the islands was "not good with about 4 miles visibility and rain." After picking up his passengers, he departed for Saipan about 5 to 10 minutes after the accident airplane. When he took off, the weather was good over Tinian but the channel was blocked by a rain shower. He held for about 5 minutes over the airport until the weather cleared over the channel and then he continued to Saipan. A witness, who was a security guard at the VOA antenna site, reported that he saw the airplane fly by and noticed that it was flying lower than other airplanes he had seen before. He estimated the airplane's altitude was less than 500 feet. He saw the airplane make a sharp left turn, and he assumed it was heading back to Tinian Airport. The airplane flew out of his view to the southeast, and he then heard the sound of a crash. The witness reported that there was light rain at the time, and the airplane was below the clouds. The operator reported that between 0305 and 0315, the chief pilot determined that the airplane was overdue and notified Saipan ATCT, and a search was started. About 1035, the accident site was located about 3 miles north of Tinian Airport and 1.5 miles east/southeast of the VOA antennas. The wreckage was located on a hill in a densely wooded jungle area at an elevation of about 450 feet. The pilot, age 59, held an airline transport pilot certificate with an airplane multi-engine land rating. He had commercial privileges in single engine land airplanes. He also held a flight instructor certificate with airplane single engine, airplane multi-engine, and instrument airplane ratings that expired on July 31, 2014. His most recent first-class medical certificate was issued on October 16, 2012, with the limitation, "holder shall possess glasses for near/intermediate vision." According to the operator, the pilot had a total flight time of 5,573 hours of which 499 hours were in the accident make and model airplane. His total night flight experience was 1,111 hours, and he had 430 hours of instrument flight experience of which 350 hours were in actual instrument meteorological conditions. In the past 90 days, 30 days, and 24 hours, the pilot flew 240, 50, and 3 hours, respectively, in the accident make and model airplane. His night experience in the past 90 days, 30 days, and 24 hours, was 61, 50, and 3 hours, respectively. The pilot's most recent Part 135 airman competency/proficiency check was satisfactorily accomplished on March 7, 2013, in a Piper PA-32-300. The operator's director of operations (DO) reported that about 0500 on the morning of October 5, 2013, the pilot was involved in an incident at Tinian Airport where "he inadvertently taxied an aircraft off the taxiway and into a ditch." The pilot, the sole occupant of the airplane, was not injured, and the airplane, a Piper PA-32-300, N8639N, sustained a propeller strike. The DO stated that it was dark when the incident occurred, and a taxiway light was out along a corner of the taxiway. He further stated that two other company pilots had similar trouble at the same location on the same night although there was no damage to their airplanes. The DO discussed the incident with the pilot about 0800. He saw the pilot again that evening, and he noted that the pilot "appeared fine." He asked the pilot if he "felt ok to fly that night," and the pilot replied that he was ok. According to the operator, the airplane was maintained in accordance with a Federal Aviation Administration (FAA)-approved aircraft inspection program, and the most recent inspection was completed on October 5, 2013. At the time of the accident, the airplane had accumulated 17,003 hours, and the engine, a Lycoming IO-540-K1A5, had accumulated 1,380 hours since major overhaul. The airplane was equipped with a Garmin Aera 500 portable global positioning system (GPS) navigation device that incorporated a moving map display. At 0254, an automated weather reporting station at Saipan Airport, located about 7 nautical miles north of the accident site, reported wind from 070 degrees at 4 knots, visibility 10 miles, scattered clouds at 1,600 feet, broken clouds at 2,300 feet, temperature 26 degrees Celsius (C), dew point temperature 24 degrees C, and altimeter 29.71 inches of mercury. The remarks section of the report stated that rain began at 0159 and ended at 0230.
Review of images from the Weather Surveillance Radar (WSR)-88D installation at Anderson Air Force Base, Guam, located about 100 nautical miles south of the accident site, indicated that between 0245 and 0251, an area of precipitation moved westward from offshore and covered the northern end of Tinian Island. A FAA inspector conducted an on scene examination of the wreckage and reported that the airplane impacted trees; both wings and the empennage separated from the fuselage; and the main wreckage, consisting of the fuselage and engine, came to rest about 200 feet from the first point of impact with the trees. The debris path from the initial impact point to the fuselage was oriented on a heading of about 130 degrees (southeast). The fuselage came to rest on its right side, and the cabin roof separated from the fuselage and was laying beneath the aft section of the fuselage. The propeller remained attached to the engine crankshaft, and all three propeller blades were bent and twisted in a manner consistent with the engine developing power at impact. The examination revealed no evidence of any pre-impact mechanical anomalies or malfunctions that would have precluded normal operation of the airplane. An autopsy was performed on the pilot on October 9, 2013, by the Department of Public Health of the Commonwealth of the Northern Mariana Islands. A request was made by the FAA inspector for specimens to be sent to the FAA's Bioaeronautical Sciences Research Laboratory, Oklahoma City, Oklahoma, for forensic toxicology but no specimens were received. A Garmin Aera 500 portable GPS navigation device was recovered from the wreckage. Track data was downloaded from the unit and plotted. The data indicated that the airplane departed Tinian Airport and turned left to a north/northeast heading that was maintained until it reached the eastern shore of Tinian Island. The airplane then made a right 270-degree turn to a northwesterly heading that was maintained until about 1650. At 1649:40, the airplane was at a GPS altitude of 1,135 feet, and it began to turn left and descend. The last data point recorded was at 1651:14 at a GPS altitude of 302 feet; by this time, the airplane had turned about 180 degrees and was heading roughly southeast. TUPELO, Miss. (WTVA) - Some say you can't learn to fly unless you learn to fall. This is a challenge the Tupelo Airport Authority knows well as they've searched for the right airline provider. "Well in the past we've had airlines that have recently come out of bankruptcy and weren't really prepared to serve the city. Then we had an airline that flew a single engine airplane that had problems with on time performance and people lost confidence in it," said Vice President Jim Newman of the Tupelo Airport Authority. But hopefully confidence will be renewed as the Tupelo Airport Authority signed a contract with CFM to permit Contour Airlines to service the area. The contract hammered out details about the $2500 a month rent and the square footage to be used. The resolution will bring much appreciated revenue to the Airport Authority. "We haven't had an airline, so we've had no rent coming in. And now we're going to have an airline so we're going to have some rent coming in. It'll help us budgetwise," says Newman. The budget is also helped by new avenues for income generated from the airline, like passenger facility charges. Another favorable result of the contract is the airport will make money off of jet fuel sales. The airport will have five flights a day. The Airport Authority is confident in the new airline. "You're going to be very happy. We've got a good airline," says Newman. DIXON – A feasibility study on the City Council's radar is part of a plan for the Dixon Municipal Airport that, in the long run, could help the city's economy. The council is considering conducting a study to determine what improvements would be needed to upgrade the airport into more of a commercial facility. City Manager Cole O'Donnell said the city wants to take a look at the long-term feasibility of the airport, which accommodates mostly pleasure aircraft. "We would like to see what it would take and how much it would cost to modernize and expand the airport to attract more nonpleasure aircraft at the airport," he said. If approved, the feasibility study would cost $10,000 to $30,000. The tentative timeline of the study would have a start date in June and completion date in October. "I think if the airport was made more commercial, it could create more opportunity for certain aircraft to land and could expand economic development recruiting for the area," O'Donnell said. To determine the airport's long-term feasibility, the study would evaluate the current facilities and operations to identify improvements needed for an upgrade. About a year ago, a 7-member task force was created to study comparable airports and see how commercial, retail and airport-related businesses might be attracted through a long-range plan. Proposed in the plan was a new 5,000-foot runway, the length most insurance companies require as a minimum for corporate jets. The airport's current runways are 3,897 feet and 2,803 feet, according to the Federal Aviation Administration. "In order to fully utilize the facility as more than a pleasure craft airport, we would need to expand the runway," O'Donnell said. "What we need to do is look at the current facility and see what the extent of the upgrades would need to be." The city is also looking to apply to two FAA grants for improvements to the fencing and runway lights at the airport. The grants would require that the city own and maintain the improvements for at least 20 years. The City Council next meets at 5:30 p.m. April 4 at City Hall, 121 W. Second St.
Go to discoverdixon.org or call City Hall at 815-288-1485 for an agenda or more information. 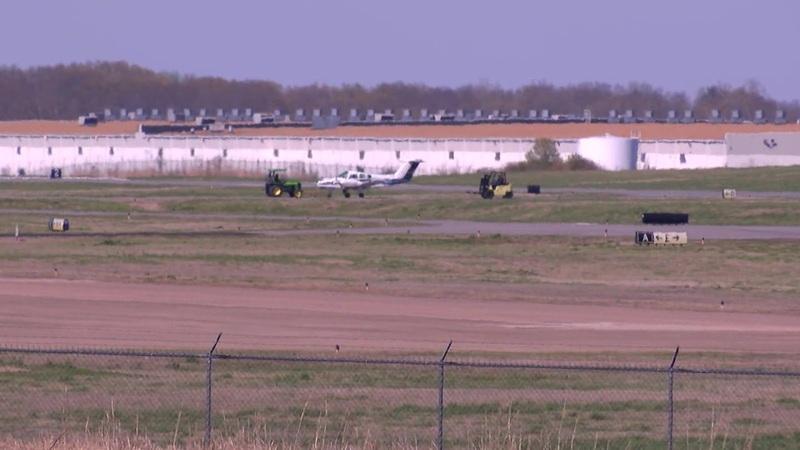 An airplane made an emergency landing at Olive Branch Airport. Olive Branch Fire Department said there were no injuries, but the plane has damage to the front landing gear. Airport crews used a tractor to tow the plane off the runway. 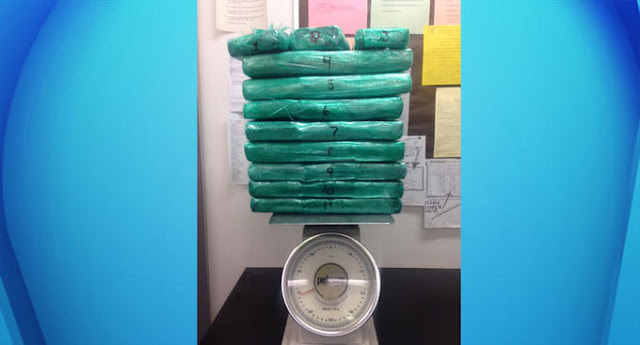 LAX police found 11 packages of cocaine wrapped in green cellophane and labeled, 'BIG Ranch' inside one of the bags Reynolds had allegedly left behind. 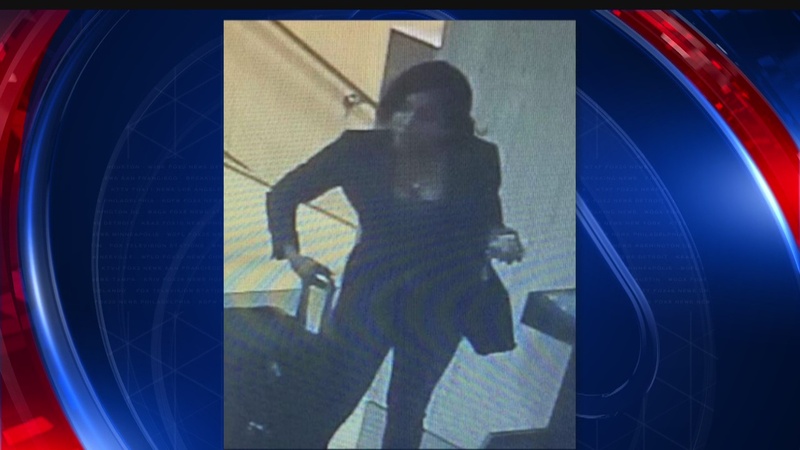 LOS ANGELES, Calif. (FOX 11 / CNS) - A JetBlue Airways flight attendant who allegedly had almost 70 pounds of cocaine in her carry-on luggage and fled when Los Angeles International Airport security officials pulled her aside for a random baggage search is expected to make her initial court appearance in New York today. Marsha Gay Reynolds, who allegedly kicked off her Gucci high heels as she fled Friday night, surrendered to U.S. Drug Enforcement Administration agents in New York on Wednesday, officials said. Reynolds was charged Wednesday in Los Angeles with possession with intent to distribute cocaine. The drug discovery was made Friday afternoon in Terminal Four by a Transportation Security Administration security officer who was screening the airline attendant's carry-on bags as part of a random search, according to an FBI affidavit. 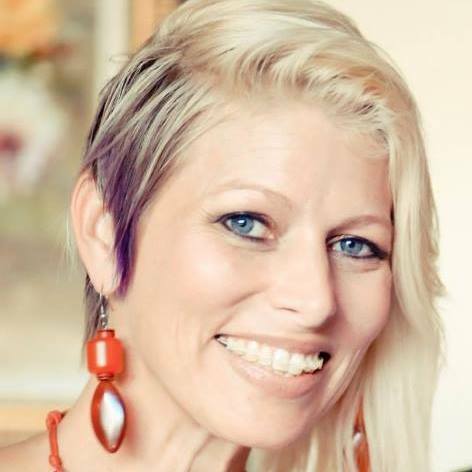 The agent didn't pursue because his primary concern was the bags Reynolds was carrying and airport police who conducted a search for Reynolds couldn't find her, authorities said. In the wake of the foiled drug-smuggling attempt, Los Angeles Airport Police Officers Association President Marshall McClain called for 100 percent screening of all passengers and employees at LAX. "Flight attendants and other crew members are not normally subjected to searches, but this is a perfect example of why Los Angeles airports need 100 percent screening of all passengers and airport employees" McClain said. McClain disputed claims it's impossible to screen everyone that comes to work at LAX, pointing out that such screening is done at two prominent Florida airports. achievable and it should happen here at LAX." Requiring 100 percent screening would raise the odds of stopping an insider or lone wolf terrorist attack and help minimize opportunities for airport employees to commit crimes, according to the police union. "The weekend's incident reinforces the (union's) calls for an airport police officer to be stationed within 300 feet of the TSA screening checkpoint,' McClain said. respond to issues at the screening station. which is the last line of defense in keeping unwanted items off of planes and ill-willed individuals from getting access to planes," McClain said. Sixty pounds of cocaine were seized from carry-on luggage at Los Angeles International Airport. Authorities released this image on Monday, March 21, 2016. Authorities are looking for a flight attendant who fled Los Angeles International Airport without shoes Friday night after being subject to a random search that turned up about 60 pounds of cocaine in two carry-on roller bags, authorities told NBC News. The flight attendant, like other crew members, is not normally subjected to searches. But just after 9 p.m. Friday, the unidentified flight attendant was pulled aside by TSA officers for a random screening in Terminal 5, law enforcement sources familiar with the incident said. The woman, who was not identified, appeared nervous and made a cell phone call in a language not recognized by officers, authorities told NBC News. She was then taken aside to a secondary screening area and was asked for her employee identification. Suddenly, the woman bolted from the screening location, running with her bags toward an escalator. After a short distance she jettisoned the luggage and her Gucci shoes, exiting the terminal. The suspect, who is being sought, was due to be on Flight 028 from LAX to LaGuardia Airport in New York City. The incident, which is being investigated by Los Angeles Airport Police, LAPD and the Drug Enforcement Administration, was captured on video, which was not immediately released. 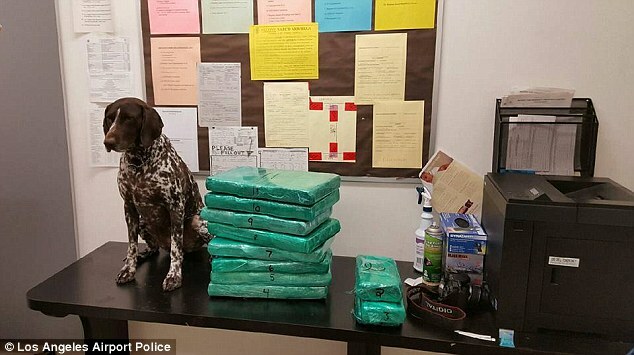 The drugs have been booked into evidence. JetBlue, Airbus A321-200, N905JB: Flight number B6-1468: Diverted and landed after reporting smoke in the cargo load. While pushing back from gate winglets collided. Both aircraft winglets damaged. No injuries. 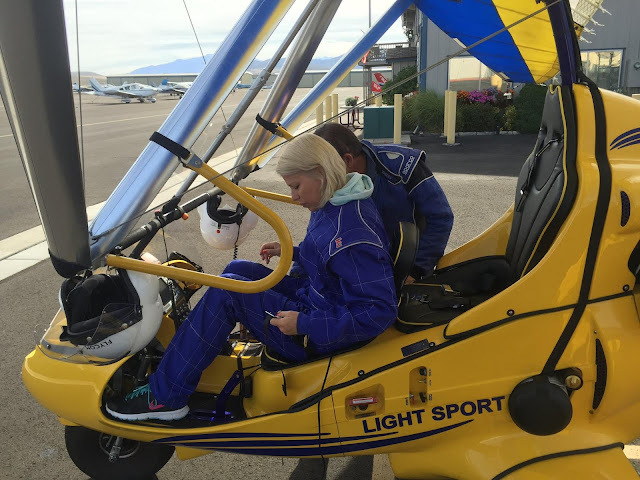 The student pilot of the weight shift control (WSC) light sport aircraft, commonly referred to as a "trike," advised the air traffic control (ATC) tower that she was ready for departure and was instructed to hold short. A DeHavilland DHC-6 then landed, and, about 40 seconds later, the controller cleared the trike for departure on the same runway. When the trike was about 50 ft above ground level, it entered a steep right bank and descended to ground impact just north of the east-west runway. Postaccident examination of the airframe and engine did not reveal evidence of any pre-impact anomalies. Trajectory comparisons of the two aircraft, revealed that the trike likely encountered one of the wingtip vortices from the DHC-6, and the strength of that vortex, depending on the encounter geometry, likely far exceeded the roll authority of the trike. This resulted in an airborne loss of control at an altitude too low for recovery. Because the trike and the DHC-6 were of the same ATC weight category, no controller wake vortex advisory was required or issued, and all wake-separation decisions were the responsibility of the pilot. Despite the significant size and weight differences between the 10,500-pound DHC-6 and the 992-pound trike, the pilot opted to depart less than a minute after the DHC-6 landed. Review of the pilot's training syllabus indicated that wake vortices were part of the curriculum, but her actual knowledge and understanding of that subject could not be determined. Her training workbook appeared to be pristine and unused, and the instructor's signoffs appeared to all have been done in a single sitting, possibly even after the accident. This suggested the possibility that her training, academic knowledge, and study diligence left her inadequately prepared to appreciate and avoid the wake vortex hazard. Although the toxicology results indicated that the pilot had smoked cocaine, it was not possible to determine whether or not the pilot was experiencing any effects from smoking cocaine or from withdrawing from cocaine at the time of the accident. Based on the levels of diphenhydramine found, the pilot may have been impaired by its effects (somnolence, slowed psychomotor responses) at the time of the accident. The weight shift control aircraft encounter with a wake vortex from a preceding airplane, which resulted in a roll upset at an altitude too low for recovery. Contributing to the accident was the accident pilot's failure to recognize the potential for a wake vortex encounter. 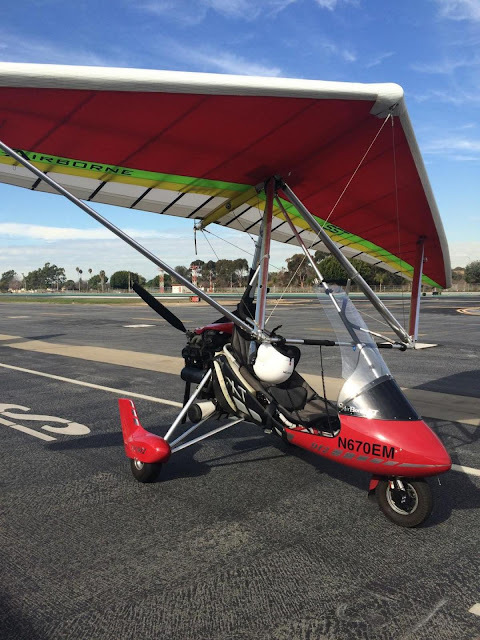 On March 21, 2016, about 1201 Pacific daylight time, an Airborne XT912 weight shift control (WSC) special light sport aircraft, N670EM, was destroyed when it impacted a fence and a roadway shortly after takeoff from Northrop/Hawthorne Municipal Airport (HHR), Hawthorne, California. The student pilot received fatal injuries. The aircraft was owned and operated by Pacific Blue Air (PBA) of Venice, California, and was based at HHR. The instructional flight was operated under the provisions of 14 Code of Federal Regulations Part 91. Visual meteorological conditions prevailed, and no flight plan was filed for the flight. According to multiple witnesses, the aircraft initiated its takeoff roll from HHR's runway 25 at a point before the displaced threshold. Just after liftoff, the aircraft began to bank and turn right and continued to do so until its flight track was nearly perpendicular to the runway heading. The initial segment of the flight was a climb but became a descent as the aircraft rolled and turned right. Witness estimates of the aircraft's maximum altitude ranged between 40 and 200 ft, and their maximum bank angle estimates ranged between 45° and 90°. All witnesses reported that the engine rpm either remained constant or increased during the flight and that the engine continued to run at least until impact. None of the witnesses mentioned the presence of any other aircraft. The aircraft struck the airport perimeter fence and then impacted a 4-lane road north of the airport that ran roughly parallel to runway 25. According to witnesses, on impact, the aircraft immediately caught fire. A water pumping/construction crew was working about 100 ft from where the aircraft impacted, and several of these workers responded to the site within a few seconds and attempted to rescue the pilot and extinguish the fire. Two Los Angeles County Sheriff's Department deputies, who were located several hundred feet from the impact site, responded within a minute of the accident. Air traffic control tower (ATCT) personnel notified HHR operations personnel of the accident, and they responded within a few minutes of the accident. Los Angeles County Fire Department (LACoFD) equipment and personnel also responded very shortly after the accident. The pilot was extracted from the wreckage and transported to a hospital. The wreckage was examined and documented on scene by Federal Aviation Administration (FAA) and National Transportation Safety Board (NTSB) personnel later the same day and was then recovered and transported to a secure facility for additional examination. The pilot held an FAA student pilot certificate that was issued in May 2014. Review of her pilot's logbook indicated that her first flight was conducted in October 2013 and that she flew about 2 to 3 times per month thereafter. All flight time recorded in the logbook was in WSC aircraft, and the PBA Chief Pilot reported that the pilot had no flight time in any other type of aircraft. All of the pilot's flight time through June 2015 was in an Evolution Revo WSC aircraft that was also owned by PBA. The logbook indicated that the pilot had accrued about 38 hours in the Revo before she switched to the accident aircraft. The pilot's first flight in the accident aircraft was on June 8, 2015, and all her subsequent flights were in the accident aircraft. The logbook indicated that the pilot had accrued about 21 hours in the accident aircraft. The pilot's first solo flight was accomplished on November 2, 2015, when she had a total flight experience of about 48 hours. The logbook listed 8 solo flights, with a total flight time of 6.9 hours. Her most recent flight, which was a solo cross-country flight, took place on March 16, 2016. Except for two flights, all the pilot's dual flights were conducted with the PBA Chief Pilot. According to the pilot's family, the pilot had experienced a significant snowboarding accident about 3 days before the accident flight. 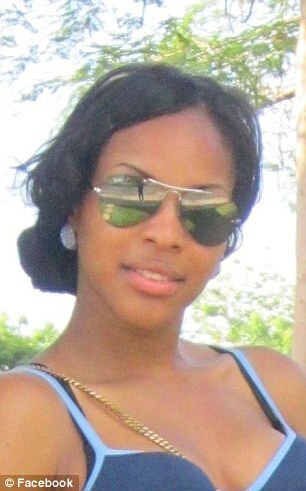 The family members reported that she struck her head or neck in that event. She was wearing a helmet, did not lose consciousness, but did suffer a "strained neck." The pilot's fiancé reported that she was sore from that event, but her behavior, personality, and mental acuity were unchanged. The pilot's fiancé reported that she was happy when she left their residence for the accident flight and that he did not speak to her after she left. A PBA co-owner reported that she witnessed the pilot arrive at the airport and stay in her car on the phone for about 20 minutes. According to the co-owner, when the pilot came into the hangar she appeared "slightly agitated." Review of the pilot's telephone records indicated that between 1040 and 1122 she made five calls to four different numbers and received one call from one of those numbers. The longest call was 3 minutes in duration; the rest were 1 minute in duration. In that same period, she was sent one text message from a fifth telephone number. The investigation did not determine the persons or agencies associated with those telephone numbers. FAA information indicated that the aircraft, commonly referred to as a "trike," was classified and registered as a light sport aircraft (LSA). It was manufactured in 2007 and was equipped with a Rotax 912 series engine. The maximum takeoff weight was 992 lbs. The aircraft manufacturer (Airborne) was based in Australia, and the engine manufacturer (Rotax) was based in Austria. According to the PBA Chief Pilot, the aircraft was acquired by PBA about a year before the accident and was equipped with an "SST" model wing. According to the aircraft manufacturer's publications, the SST wing is "a high performance flex wing, which utilises struts to react the negative flight and landing loads imposed on the wing airframe. Removal of the king post and associated top rigging results in a significant decrease in drag, which improves cruise performance and reduces fuel consumption." The documentation also stated that, "Handling is improved and speed ranges are increased... pitch stability is achieved by using wire braced washout struts…which serve to keep the trailing edge of the sail raised, maintaining washout and therefore pitch stability." The documentation closed by stating that, "The SST retains all of the great handling characteristics of the Airborne wing range. The performance benefit of the strutted version ...makes the XT912 / SST aircraft the choice for the discerning cross country pilot." Review of the aircraft maintenance records revealed that the most recent annual condition inspection was completed on June 3, 2015, when the airframe and engine each had accumulated 232 hours since new. The most recent 100-hour inspection was completed on November 10, 2015. The records indicated that, at that time, the airframe and engine each had accumulated 400 hours since new. The maintenance records did not contain any entries documenting maintenance actions that were indicative of, or could be associated with, any previous significant damage or problems. The 1153 HHR automated weather observation included calm winds, visibility 10 miles, clear skies, temperature 19°C, dew point 11°C, and an altimeter setting of 30.12 inches of mercury. The next HHR observation was issued at 1253 and reported winds from 270° at 8 knots. About 8.5 minutes before the aircraft was cleared for takeoff, the ATCT local controller broadcast, "Attention all aircraft ATIS [automated terminal information service] lima is now current wind two six zero at four altimeter three zero one four." Between that broadcast and the accident, the local controller did not issue any other wind information to any of the aircraft that he was handling. FAA-published information indicated that HHR was equipped with a single paved runway, designated 7/25, which measured 4,956 ft by 100 ft. Runway 25 had a displaced threshold of 463 ft. Airport elevation was 65 ft above mean sea level. HHR was situated in a mixed industrial/semi-urban area of the Los Angeles basin, within 3 miles of Los Angeles International Airport. Due to this location, HHR operations included a significant number and mixture of aircraft types, including many business aircraft. The accident operator (PBA) was a relatively long-term resident of HHR, and one of the very few, and possibly only, WSC aircraft operators at HHR. However, due to the nature of PBA's business, its operational frequency for WSC aircraft was high, frequently conducting several flights per day. The airport was not equipped with a dedicated, on-site rescue and firefighting (RFF) division. As specified in the HHR Emergency Plan, the airport relied upon the services of the LACoFD. The nearest LACoFD station was located less than 1 mile from HHR, and personnel and equipment from that LACoFD station responded to the accident. The wreckage was located about 280 ft north of the HHR runway 7/25 centerline, and about 1,400 ft west of the east end of the paved runway surface. The airport boundary was a 6-ft-high steel chain link fence, and ground scars indicated that the aircraft struck and damaged the fence, and then first impacted the road about 15 ft north of the fence. The aircraft came to rest at the north edge of the road, adjacent to and in contact with a fenced electrical equipment enclosure. The fence damage, road scar, and wreckage formed a line that was perpendicular to the runway. Except for the right main wheel assembly and about a dozen windscreen, fairing, and propeller fragments, all the wreckage was tightly contained. The airframe (carriage) and wing structure consisted primarily of aluminum tubing of varying diameters, stabilized by a number of steel cables. Portions of several tubes had been damaged or consumed by fire. The carriage came to rest on its right side, oriented with the nose pointed about southeast. All the steel cables remained intact and securely attached to the structure at each of their respective ends. The forward carriage frame and nose landing gear assembly was fracture- and/or fire-separated from the aft carriage frame. The right wheel assembly was fracture-separated from the aircraft just above where its three support struts attached to the wheel assembly. The wheel exhibited significant localized crush damage, consistent with contact with the top crossbar of the airport boundary fence. The seats were not located/identified in the wreckage, consistent with consumption by fire. Four instruments (an airspeed indicator, a radio, a transponder, and an EFIS [electronic flight instrumentation system]) were identified in the wreckage, but all were severely fire-damaged. The airframe recovery parachute was found out of its container; it remained reefed/folded but was partially extended lengthwise, and much of it was fused or consumed by fire. The parachute extraction rocket was also found out of its container, and its propellant load was absent, consistent with having been consumed in the ground fire. Detailed examination of the airframe wreckage did not reveal evidence of any pre-impact mechanical deficiencies or failures that would have precluded normal flight. The engine remained attached to its steel frame portion of the carriage and did not exhibit any evidence of any preimpact failures. The engine sustained significant impact and fire damage, to the point where its pre-accident integrity and operability could not be ascertained. The three-blade Warp Drive composite propeller remained attached to the engine. Two propeller blades were fracture-separated from the hub; the full lengths of all three propeller blades were identified on scene. All propeller damage was consistent with impact effects with the engine operating. For additional details, refer to the NTSB public docket for this accident. The HHR ATCT was operating at the time of the accident. The ATCT was a non-federal facility that was operated and staffed by the private contractor Serco. At the time of the accident, there were three controllers on duty in the ATCT. Those three individuals were performing the functions of ground control (GC), local control (LC), and controller-in-charge (CIC). All three controllers' statements indicated that each witnessed the airplane's right turn, descent, and impact. None of the three statements mentioned the presence or activity of any other aircraft. Serco-generated transcripts of the ATCT communications with the accident aircraft were provided to the investigation. Review of these transcripts indicated that they did not document any communications with, or any references to, any other aircraft. The investigation obtained and reviewed the archived radar tracking data for HHR for the period leading up to the accident. That data indicated that a DeHavilland DHC-6 conducted an approach to HHR runway 25 just before the accident. The radar coverage did not extend to ground level, but the DHC-6 did not re-appear, which was consistent with the DHC-6 landing at HHR. The audio recordings of the HHR communications were obtained and reviewed, and these indicated that the DHC-6 landed about 40 seconds before the accident aircraft was cleared to depart from the same runway. The audio recordings indicated that the accident pilot radioed the LC that she was ready for departure and that the LC then held the accident aircraft until the DHC-6 landed. Once the DHC-6 vacated the runway, the LC cleared the accident pilot for takeoff. The LC did not issue any wake turbulence advisory to the accident pilot. The two pilots of the DHC-6 reported that they both witnessed the accident and then discussed (between themselves) the possibility that the accident aircraft had flown into their wake, resulting in the pilot's loss of control and the accident. According to the FAA, the 41-year-old pilot had never had an aviation medical examination. 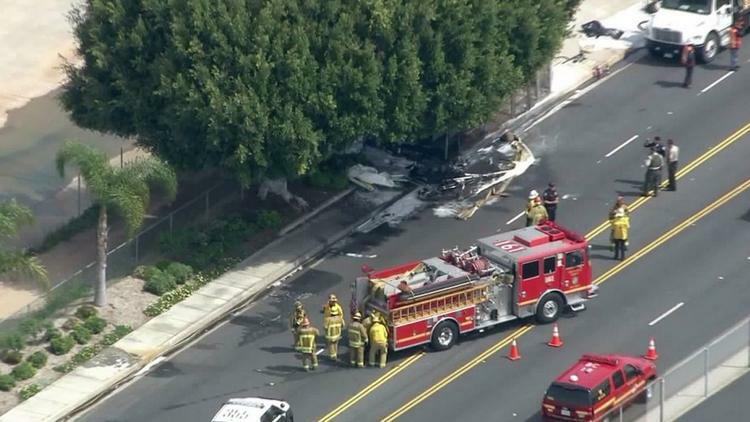 The Los Angeles County Medical Examiner, Los Angeles, California, performed an autopsy of the pilot and determined that the pilot's cause of death was "multiple traumatic injuries." No significant natural disease was identified. The toxicology screenings performed by the medical examiner found 0.22 ug/dl of diphenhydramine in chest blood and 0.05 ug/mL of benzoylecgonine in vitreous fluid. Diphenhydramine is a sedating antihistamine available over the counter in many products intended to treat colds, allergies, and induce sleep and is frequently sold with the name Benadryl. The therapeutic range for diphenhydramine in blood is 0.0250 to 0.1120 ug/ml. Diphenhydramine undergoes post mortem redistribution, and central levels may be elevated above peripheral levels by a factor of about three. Benzoylecgonine is a metabolite of cocaine. Toxicology testing performed by the FAA's Bioaeronautical Sciences Research Laboratory, Oklahoma City, Oklahoma, identified cocaine (at a level too low to quantify), its metabolite benzoylecgonine at 0.029 ug/ml, and another metabolite that occurs with smoking cocaine, anhydroecgonine methyl ester (at a level too low to quantify) in cavity blood. In addition, diphenhydramine was identified at 0.326 ug/ml in cavity blood and at a level too low to quantify in liver tissue. The active effects of cocaine include a rush of euphoria, heightened awareness, excitement, and irritability, and it can cause paranoia and hallucinations. As the level drops via metabolism, other effects including sleep disturbance, depression, irritability, and drug craving can occur. PBA was based at HHR and was situated in a hangar on the southeast side of the airport. At the time of the accident, PBA owned and operated two aircraft, both of which were WSC aircraft. The hangar faced runway 25, served as the office for PBA personnel and customers, and housed at least one of PBA's two aircraft. According to the chief pilot, he was a founding member and co-owner of PBA when it began operations about 3 years before the accident. Shortly after the company began, he sold his share to another individual, whom the chief pilot described as a "silent partner." The silent partner and the other co-owner had been the owners ever since. Neither of the co-owners held any FAA pilot certificates. According to its website, PBA was "a Light Sport Aircraft training facility based in the scenic city of Los Angeles" that offered "introductory flight lessons as well as intermediate and advanced flight training" in their aircraft. The PBA website contained multiple references to the visual or experiential aspects of the flights, using phrases such as "breath taking views of scenic Southern California," "surreal moments," and "epic experience." The website's references to flight training included statements such as "Once in flight, you will have the opportunity to actually fly the aircraft " and "should you decide to continue your training." The "Yelp" website contained multiple reviews from persons who had made flights in the PBA WSC aircraft; those reviews were all consistent with aerial tour activities. In response to an NTSB request for the aircraft's sign-out records, the chief pilot responded that he did not use any such sheets or system. When asked how PBA tracked flight time for billing purposes, the co-owner stated that the aircraft was equipped with a timer that would be started manually by the chief pilot or the flying pilot. The lack of a sign-out system precluded the determination of the time on the airplane at the time of the accident or a record of the aircraft usage/flight history. The pilot's flight bag had been left in the PBA hangar for the flight; this was not an unusual procedure, since there was no stowage capability on the aircraft. The day after the accident, NTSB investigators visited the PBA hangar and examined the contents of the pilot's flight bag. The pilot's flight logbook was in her flight bag. A 3-ring binder that contained various pilot-related information and documents was maintained by PBA and provided to NTSB investigators for examination. One of the documents in that binder was the pilot's FAA student pilot certificate. That certificate had been photographed on the day of the accident (3/21/16) by Hawthorne Police Department personnel, and again by NTSB personnel on the following day (3/22/16). Comparisons of the photographs from the two different days revealed that the certificate had been altered in the period between when the two photographs were taken. The alteration was the addition of a hand-written solo cross-country flight endorsement dated 3/15/16 and signed by the PBA chief pilot. The chief pilot confirmed that he made the subject endorsement, but he did not provide any information as to why he altered the document after the accident. The Federal Aviation Regulations (FARs) specify the minimum requirements and standards for obtaining a pilot certificate with a WSC rating, and flight training organizations and instructors enable student pilots to meet these requirements via their curricula and training materials. According to information provided by the PBA chief pilot, the curriculum used for the pilot's training was contained in a "Training Syllabus & Work Book, Weight Shift Control Trike" (Paul Hamilton, 2014 edition). The chief pilot provided the original hardcopy of the pilot's training syllabus workbook to NTSB investigators. The workbook contained the overall lesson plan and was subdivided into individual numbered modules. Each module contained a "Ground Lesson" and a "Flight Lesson" printed on separate pages. Each lesson page had multiple checklist-style topic lists that were to be initialed by either the instructor or the student pilot. Each lesson page also had two dedicated, separate signoff lines, one each for the student pilot and the instructor. Review of the pilot's syllabus work book indicated that the "Flight Lesson" pages for the first twelve (of a total of fifteen) modules were fully initialed and signed as "completed" by the chief pilot. None of those pages was initialed or signed by the accident pilot. Only one of the "Ground Lesson" pages (that for Module 11) was initialed and signed by the chief pilot. As was the case for the "Flight Lesson" pages, none of the "Ground Lesson" pages were initialed or signed by the accident pilot. The syllabus workbook was observed to be in nearly pristine condition; all pages were consistently clean and new-appearing. None were stained or wrinkled, or exhibited any other indications of use. The syllabus workbook was spiral-bound, which precluded the easy removal or resequencing of pages. The pages were printed on both sides and numbered such that when the work book was opened, all the left-hand pages were even-numbered, and all the right-hand pages were odd-numbered. For all the modules, the "Flight Lesson" pages were on the even-numbered pages. For all the modules except one (Module 11), the "Ground Lesson" pages were on the odd-numbered pages. The Module 11 Ground Lesson was printed as an even-numbered page. The investigation identified two patterns with the pages that were initialed and signed by the chief pilot. The first pattern was that all the lesson pages that were initialed and signed by the chief pilot were even-numbered pages, irrespective of whether they were Flight or Ground lessons. None of the odd-numbered lesson pages, which were all Ground lessons, were initialed or signed by either the chief pilot or the student pilot. The second pattern was that all of the Chief Pilot's initials, signatures, and date entries appeared to be written with the same ink and pen tip. Within the twelve instructor-initialed modules of the accident pilot's syllabus workbook, "wake vortex" avoidance was cited in two flight lessons and two ground lessons. The first citation was in the ground lesson for Module 4, and the last citation was in the ground lesson for Module 11. The chief pilot reported that his training of the accident pilot used the workbook guidance and references. The investigation was unable to determine what other training or study, if any, the pilot had obtained or conducted regarding wake turbulence. FAA guidance for air traffic controllers is published in the FAA Order JO 7110.65, "Air Traffic Control." According to the order, separation criteria are based upon the weight categories of the aircraft involved. The guidance listed four weight categories. In order of increasing weight, these were small, large, heavy, and super. Per the order, the small category is the lowest weight category and applies to aircraft weighing 41,000 pounds or less. The accident aircraft and the DHC-6, which weighed about 15 times what the accident aircraft weighed, were both in this category. For two aircraft in the small category, the only ATC-required separation criterion was that the preceding landing aircraft (in this case, the DHC-6) had to be clear of the runway before the succeeding aircraft (in this case, the accident aircraft) could be cleared for takeoff from the same runway. There was no requirement to issue a cautionary wake turbulence advisory between two small category aircraft. Paragraph 2-1-20 (b) of JO 7110.65 stated, "Issue cautionary information to any aircraft if in your opinion, wake turbulence may have an adverse effect on it." FAA Advisory Circular (AC) 90-23G, "Aircraft Wake Turbulence," discussed aircraft weight categories within the context of ATC separation minima. The AC reiterated the four weight categories described above. The only AC-designated separation criteria discussed in the AC were those for "minimum radar separation;" no explicit wake-separation criteria were presented. - Whether or not a warning or information has been given, the pilot is expected to adjust aircraft operations and flightpath as necessary to preclude wake encounters. - When any doubt exists about maintaining safe separation distances between aircraft to avoid wake turbulence, pilots should ask ATC for updates on separation distance and groundspeed. Wake vortices are discussed in AC90-23G and Chapters 4 and 13 of the FAA Pilot's Handbook of Aeronautical Knowledge (PHAK, FAA-H8083-25). According to the PHAK, wing lift generation "triggers the rollup of the airflow aft of the wing resulting in swirling air masses trailing downstream of the wingtips. After the rollup is completed, the wake consists of two counter rotating cylindrical vortices." The strength of the vortex is governed by the weight, speed, and shape of the wing of the generating aircraft. The vortex characteristics of any given aircraft can also be changed by the extension of flaps or other wing configuration devices, as well as by a change in speed. The greatest vortex strength occurs when the generating aircraft is heavy, clean, and slow. The AC stated that the "vortices from an aircraft can pose a hazard to encountering aircraft. For instance, the wake of larger aircraft can impose rolling moments that exceed the roll control authority of smaller encountering aircraft." Wake vortices are rarely detectable visually. The PHAK advised pilots to avoid wake vortex encounters by two principal means: separation by flight path and separation by time. The AC stated that "pilots must learn to envision the location and movements of the vortices generated by other aircraft and to adjust their flightpath accordingly." The guidance provided descriptions of vortex behavior, particularly regarding vertical and lateral travel. The PHAK stated that "trailing vortices have certain behavioral characteristics that can help a pilot visualize the wake location and take avoidance precautions. The vortex circulation is outward, upward, and around the wingtips… Tests have shown that vortices remain spaced a bit less than a wingspan apart, drifting with the wind, at altitudes greater than a wingspan from the ground. Tests have also shown that the vortices sink at a rate of several hundred feet per minute, and once about 100 to 200 feet above the ground, they tend to move laterally at about 2 to 3 knots, away from the generating airplane centerline. Vortices slow their descent and diminish in strength with time and distance behind the generating aircraft." The PHAK also stated that "most of the energy is within a few feet of the center of each vortex, but pilots should avoid a region within about 100 feet of the vortex core." The guidance provided specific flight path strategies to avoid wake vortex encounters; the avoidance schemes were predicated on the subject airplane traversing a flight path that avoided the expected travel paths of the vortices. Both documents discussed the effects of crosswinds on vortex behavior and cautioned that crosswinds of 1 to 5 knots could result in the upwind vortex remaining over the runway for a relatively long time. Both sets of guidance also stated that pilots should wait "at least 2 minutes" for the vortices to dissipate, if they were unable to follow a flight path that would ensure minimal potential for a vortex encounter. In their generic discussions, neither the AC nor the PHAK discussed vortex hazards or avoidance schemes in terms of explicit aircraft types, sizes, or weights; all size discussions were presented using the relative terms "larger" and "smaller." The FAA WSC Aircraft Flying Handbook (FAA-H-8083-5) referred pilots to the PHAK and the Aeronautical Information Manual (AIM) for wake vortex information. The WSC Handbook also stated that "it is not recommended to take off immediately behind another aircraft, particularly large, heavily loaded transport airplanes because of the wake turbulence that is generated. Even smaller aircraft can generate vortices that can cause the WSC aircraft to lose control during takeoff. Always wait for aircraft vortices to clear before taking off." As noted previously, a DHC-6 landed on runway 25 about 40 seconds before the accident aircraft departed on the same runway. According to the pilots of the DHC-6, the airplane was a DHC-6-300 with a wingspan of 65 ft. It had a maximum landing weight of 12,300 pounds, but the pilots reported that their landing weight at HHR was about 10,500 pounds. The pilots reported that the approach and landing were flown with 20° of flaps, that they used the visual approach slope indicator (VASI) for their approach profile, and that their approach speed was 75 knots. The possibility that N670EM encountered the wake of the landing DHC-6 and that that encounter resulted in an airborne loss of control was investigated. The study was limited by the lack of definitive positional and temporal data for the two aircraft, and the lack of fine-resolution meteorological data. However, there was sufficient information to enable an assessment of the potential for such a wake encounter, as well as quantify the potential effects of the wake on N670EM. The NASA Langley Aircraft Vortex Spacing System Predictor Algorithm (APA) was used to determine potential wake vortex location and strength values. The results indicated that the meteorological conditions, in combination with the relative times and flight paths of the two aircraft, allowed for the possibility of a wake encounter by N670EM. Specifically, the results indicate that the location of the DHC-6 left vortex between 60 and 80 seconds after that airplane overflew the threshold could have been in the proper location to be encountered by N670EM. In addition, the residual vortex circulation strength would have been of sufficient magnitude to upset or even completely overpower N670EM by exceeding the available roll control. Depending on the location of the vortex core along N670EM's wing span, the vortex-induced rolling moments generally exceeded the N670EM roll capability provided by normal control inputs and could have been about four times the N670EM roll capability for vortex core locations near the N670EM wing centerline. For detailed information, refer to the Wake Vortex Study in the NTSB public docket for this accident. On March 21, 2016 about 1201 Pacific daylight time, an Airborne XT912 weight shift control (WSC) special light sport aircraft, N670EM, was destroyed when it impacted a fence and a roadway shortly after takeoff from Northrop/Hawthorne Municipal Airport (HHR), Hawthorne, California. The student pilot received fatal injuries. The aircraft was owned and operated by Pacific Blue Air of Venice, California, and was based at HHR. The instructional flight was operated under the provisions of Title 14 Code of Federal Regulations Part 91. Visual meteorological conditions prevailed, and no flight plan was filed for the flight. According to multiple witnesses, the aircraft initiated its takeoff roll from HHR runway 25, at a point prior to the displaced threshold. Just after liftoff, the aircraft began to bank and turn right, and continued to do so until its flight track was approximately perpendicular to the runway heading. The aircraft initially climbed, but then descended, and struck a fence and then a 4-lane road about 220 feet north of the runway centerline, and about 1,400 feet from the start of the takeoff roll. Witness estimates of the maximum altitude ranged between 40 and about 200 feet, and their maximum bank angle estimates ranged between 45 and 90 degrees. All witnesses reported that the engine rpm increased during the flight, and that the engine continued to run at least until impact. The aircraft came to rest at the north edge of the road, and a fire began immediately. The impact site was adjacent to a water-pumping work crew, and they immediately began applying water to extinguish the fire. Airport and other rescue and fire-fighting personnel and equipment arrived within 5 minutes of the accident. The pilot was extracted from the wreckage and transported to a hospital. The wreckage was examined and documented on scene by Federal Aviation Administration (FAA) and NTSB personnel, and transported to a secure facility for additional examination. The pilot held an FAA student pilot certificate that was issued in May 2014. Review of her pilot's logbook indicated that her first flight was conducted in October 2013, and that she flew about 2 to 3 times per month thereafter. All of her recorded flight time in the logbook was for WSC aircraft. All of the flight time through June 2015 was in an Evolution Revo aircraft that was also owned by Pacific Blue Air. Her first flight in the accident aircraft was on June 8, 2015, as were all her subsequent flights. The logbook indicated that the pilot had accrued about 38 hours in the Revo, and about 21 hours in the accident aircraft. The pilot's first solo flight was accomplished on November 2, 2015. The logbook listed 8 solo flights, with a total flight time of about 7 hours. Her most recent flight, which was a cross-country solo, took place on March 16, 2016. FAA information indicated that the aircraft was manufactured in 2007, and was equipped with a Rotax 912 series engine. According to the owner, the aircraft was acquired about a year prior, and was equipped with an "SST" model wing. The owner reported that the airframe and engine had accumulated a total time in service of about 500 hours. The 1153 HHR automated weather observation included calm winds, visibility 10 miles, clear skies, temperature 19 degrees C, dew point 11 degrees C, and an altimeter setting of 30.12 inches of mercury. The National Transportation Safety Board traveled to the scene of this accident. The 1153 HHR automated weather observation included calm winds, visibility 10 miles, clear skies, temperature 19 degrees C, dew point 11 degrees C, and an altimeter setting of 30.12 inches of mercury. Erin Storm, a contestant on season 12 of The Bachelor and a pilot, died in a plane crash in Los Angeles on Monday, March 21, multiple outlets are reporting. Storm competed on Matt Grant’s season of the hit ABC reality dating show in 2008. According to the reports, Storm was flying an Airborne XT-912 aircraft and crashed soon after taking off from the Hawthorne Municipal Airport. Byron Mayes, a Best Drilling and Pump, Inc. employee who was working on a tank near the airport, told NBC that he witnessed the crash. "All of a sudden, my partner started yelling, 'Watch out, there's a plane coming!' and it looked like the plane veered up, lost control and hit a couple feet away from the truck, a couple feet away from us," Mayes said. Mayes told NBC that he and his coworkers ran over to the burning plane and pulled Storm out of the aircraft. According to NBC, Storm’s legs were on fire, and she was in cardiac arrest when rescue crews arrived; after she was transported to a trauma center, she was pronounced dead. Storm worked as a pilot for Pacific Blue Air, an aircraft training facility based at Hawthorne Airport. According to witnesses, Storm was dressed in a blue Pacific Blue Air jumpsuit for her final flight. The Venice, California, resident was eliminated during week 3 of British Bachelor Grant’s season, in which reality star Shayne Lamas coveted the final rose. At the time, Storm’s occupation was listed as a “hot dog vendor.” Our thoughts go out to her friends and family. 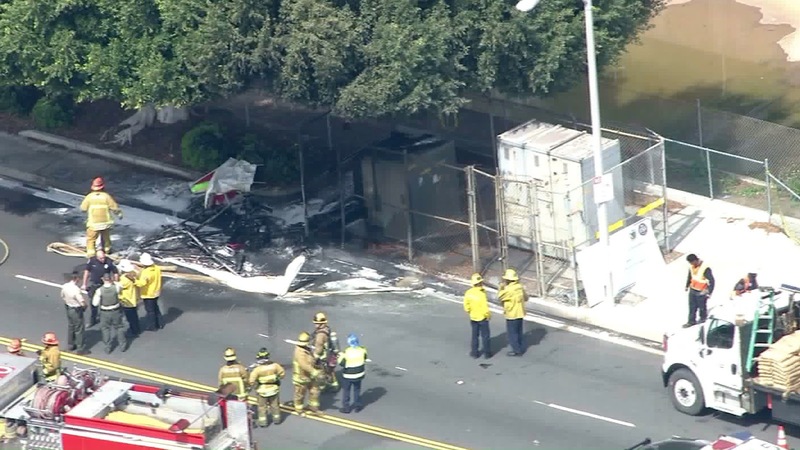 A female pilot who was pulled unconscious from her burning aircraft after the small plane crashed near Hawthorne airport Monday afternoon later died, according to police. The crash was reported shortly after noon in the 3600 block of 120th Street, just south of the 105 Freeway, according to Capt. Keith Mora of the Los Angeles County Fire Department. A crew working on a private well project nearby saw the plane coming toward where their truck was parked. "My partner just started yelling, 'There's a plane coming, a plane coming,'" said witness Byron Mayes. "It looked like the plane just veered up, lost control and hit a couple feet away from the truck, a couple feet away from us." Three workers rushed to the wreckage, finding the pilot unconscious, with her legs burning. Fire spread to their work truck and up hoses they were using, Mayes said. "Our first thought was getting her out, making sure she was OK," he said. Responding firefighters were able to halt the flames, and paramedics performed "life-saving measures" and took the pilot to Harbor-UCLA Medical Center. The unidentified pilot did not survive the crash, the Hawthorne Police Department posted on its Facebook page. The small aircraft -- a light-sport, weight-shift-control plane -- was departing Hawthorne Municipal Airport when it crashed, a spokesman for the Federal Aviation Administration said. The Airborne XT-912 had only the one person on board, the FAA spokesman said. Aerial video showed the wreckage was significant and the plane was in pieces. Meanwhile, a police vehicle crashed near 119th Street and Prairie Avenue, a few blocks west of the plane crash. The black-and-white police SUV appeared to have collided with another SUV. The officer was responding to the report of the plane down when he was involved in a crash, a Hawthorne Police Department official said. 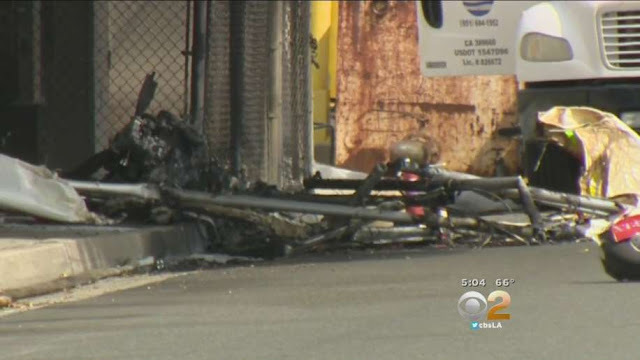 HAWTHORNE (CBSLA.com) — An ultralight aircraft crashed and burst into flames after taking off from Hawthorne Municipal Airport Monday. Byron Mayes and his coworkers with Best Drilling and Pump were working on a well on West 120th Street around noon when the plane was plunging about a quarter-mile off the west end of the airport. The 18-year-old said he was only a few feet away from being struck by the falling aircraft. The pilot was rushed to a hospital in full cardiac arrest. “We checked her pulse, and sadly to say there was no pulse at first. But the paramedics were doing as best as they could to keep her breathing,” Mayes added. FAA spokesman Ian Gregor confirmed the aircraft was an Airborne XT-912 – a light-sport, weight-shift-control plane. Mayes said the pilot was wearing a blue jumpsuit, which is the kind worn by pilots who work for Pacific Blue Air. It is the only business that operates the Airborne XT-912 at the Hawthorne Airport.